Office furniture used for storage and filing goes by many different names: office cabinets, 2 door cupboards, steel stationary cabinets, filing cabinets, roller door cabinets, sliding door credenzas, optiplan filing cabinets, bulk filing systems, book shelves and bookcases, lockers and more – we supply them all! We also stock steel shelving bays which are perfect for all uses in the store room environment. Visit our Randburg showroom to view a large range of second hand office furniture in stock as well as our selection of brand new, made to order, office furniture. 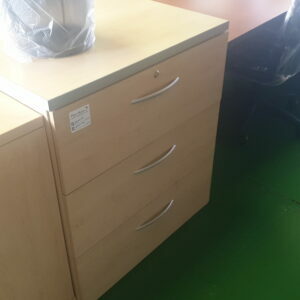 Has Been Office Furniture is the leading supplier of used office furniture in Johannesburg, known for our quality refurbished furniture, great service, and affordable delivery throughout Gauteng. Most office cupboards, filing cabinets and bookcases are designed to accommodate lever arch files. Credenzas on the other hand are designed to match the height of a desk. This means that only one row of files can be accommodated in a credenza, which is an important consideration as some employees may require more filing space. 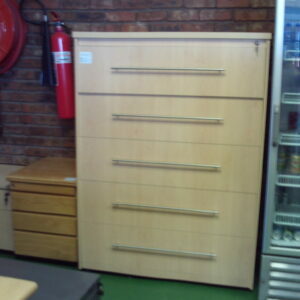 We highly recommend a visit to our Randburg showroom for the largest selection of used office cupboards, storage and filing cabinets on sale, or look out for special offers online, get a quote for new office cupboards or office cabinets, or contact us and our friendly sales staff will assist you with any office furniture requirements. 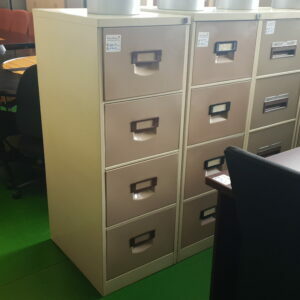 Should you need to match an existing filing cabinet or office furniture, send us a photo and we will see what we have in stock to suit your requirements. We will then reply with a formal quotation via email as well as a picture attached. Has Been Office Furniture also stocks a huge range of other office furniture, perfect for any business or home office requirements. Best sellers include new and used office chairs and desks, reception desks and couches, boardroom tables and many other items. Contact us today for all your office furniture requirements and get the best selection, prices and delivery.